Humanized alleles in animal models | Cyagen Biosciences Inc. Animal models play a vital role in modern biomedical research. In particular, mouse and rats are profoundly important. However, mice and rats are imperfect models of human diseases and are poor platforms on which to test potential human therapeutics. In fact, standard rodent models become more limited as the research questions become more clinically relevant.These shortcomings are frequently due to sequence differences between orthologous genes that play important roles in certain biological processes underlying human health issues, such as cancer, diabetes, and mental health, and also due to a lack of cross-reactivity between therapeutics and the mouse orthologs of their human targets. Humanization of mouse and rat alleles is now a powerful approach to overcome these limitations and make mice and rats which are better suited for human biomedical research. A humanized allele consists of a rodent gene which is eliminated and replaced by the corresponding human orthologous gene sequence. Essentially, this allows experiments on human genes to be performed in vivo, within a rodent. Humanized rodent models have now been used in immunology, cancer research, drug discovery, transplantation research,infectious disease research, and other fields. There are two distinct approaches to humanization. In so-called "knockout-plus-transgenic humanization", a knockout animal is crossed with one carrying a randomly integrated transgenic of the human gene, while "in situ humanization" consists of the direct replacement (i.e. knockin) of a rodent gene withits human counterpart at the same genetic location. In either case, the human allele may consist of either a human bacterial artificial chromosome (BAC), which would carry human regulatory sequences, or a smaller human gene construct may be used, depending on the experimental goals. While conceptually more straightforward, in situ humanization is often the more laborious approach, due to the need for ES cell manipulation. Since many knockouts of biomedically relevant genes have already been made, the knockout-plus-transgenic approach often requires only the making of a new transgenic mouse and crossing with an available knockout strain. However, random integration in the transgenic allele may have unexpected consequences in the humanized animal. The recent advances in nuclease-mediated genome editing now allows rapid and inexpensive knockouts and specific point mutations to be madein mouse and rat genomes without the use of ES cells. For humanization studies, this could be used to quickly mutate specific bases to match a human allele of interest, or could be used to efficiently knockout a rodent gene for us in knockout-plus-transgenic humanization. This has not previously been possible in rats due to the lack of robust rat ES cell lines. Humanized rats are likely to become a powerful tool for human biomedical research. As a model of human health, the rat offers many advantages over the mouse, including more similar cardiovascular physiology, superior cognition and memory, and more human-like disease states. 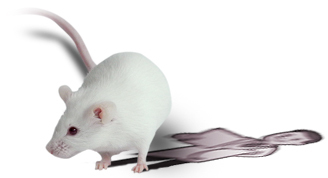 The feasibility of humanized rat studies will make them an even more useful animal model.